Just how good are the Q's new floorstanding speakers? To call the world of floorstanding speakers competitive would be a massive understatement. We could do this job for decades and only hear a fraction of the models available. 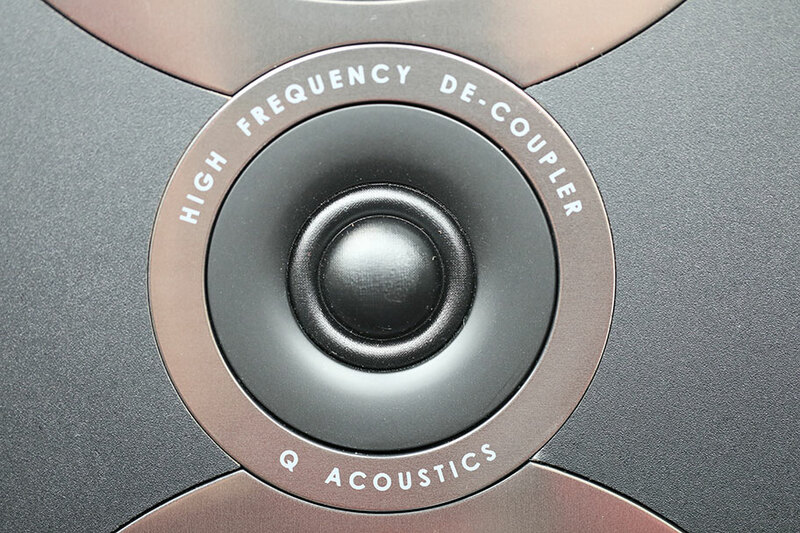 We always get excited, however, when Q Acoustics drops a new product. The British company is known for exacting design and punchy sound, and we were stoked when a pair of their new 3050i speakers thumped onto our doorstep. In this review, we break down the sound, design, packaging and accessories, specs and more of the Q Acoustics 3050i. To see how they stack up, check out our list of the best floorstanding speakers. We need to talk about the technology within the Q Acoustics 3050i floorstanding speakers in order for the rest of this review to make sense. The speakers have some rather interesting tech stuffed inside them, and built into their glossy cabinets. Honestly, it’s the cabinets that command the most attention. Cabinet design is something that Q Acoustics excel at - the kind of work that takes up the majority of their time at the workshop in Bishops Stortford. They made major waves with their incredible Concept 40 speaker in 2014, and we see much of the same R&D in the 3050i model. For example, there have been improvements in material rigidity, and in theory, this means tighter and more controlled sound. 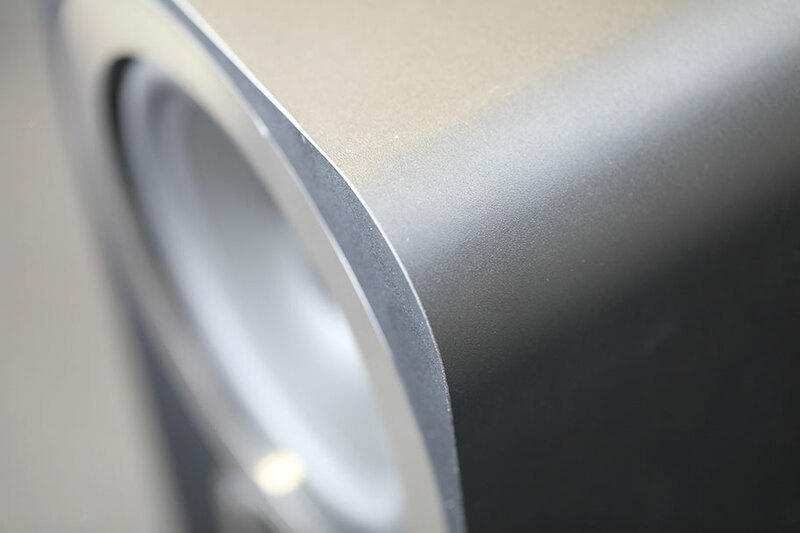 The drivers are supported by thicker baffles and each speaker contains what is known as a Helmholtz Pressure Equalizer. Before writing this review, we didn’t know what this was either. As it turns out, it’s simply a hollow tube held inside the cabinet, packed with damping material. The idea is to reduce resonance, making the sound more clean and clear. 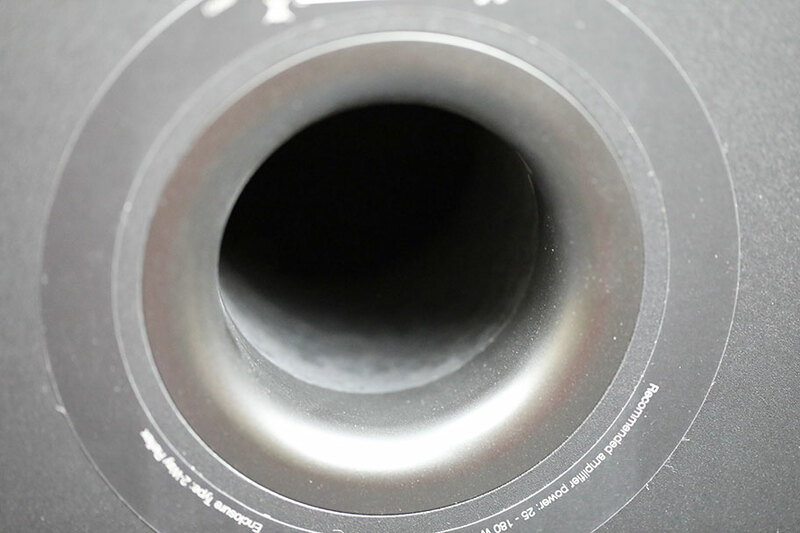 The bottom line is, while the 3050i speakers don’t look all that different from their predecessor, the Q Acoustics 3050, there have been significant internal changes. But here’s our question: are those changes enough to justify the $150 price increase over the 3050s? You can use the 3050i speakers for both music and home theater, but let’s talk about music first. This was our initial experience with the speakers, as we hooked them up to a beefy Onkyo A-9110 (full review here) stereo amp. The 3050i speakers can handle 50-165 watts on a six ohm load, which makes them suitable for just about any amplifier. With a sensitivity of 91dB, we had no problems getting them to a decent volume. However, while the overall performance was good, it was clear that there were a few flaws. The biggest issue we had was with the bass. Despite the appearance of three drivers on the front, the 3050i are two-way speakers – more specifically, two-way reflex speakers. That means they have a single tweeter for the highs and two woofers that both handle the mids and upper-bass - hence two way. The reflex part of the equation comes from the addition of a bass reflex port on the rear, which is an open vent that allows the speakers to control the bass frequencies. In theory, this port, combined with the rigid cabinet and the mysterious Helmholtz Pressure Equalizer, should result in clean bass. Unfortunately, that wasn’t the case. No matter what genre we played through the 3050i speakers, we found that the low-end was woolly and uncontrolled. Not dramatically so, but enough to make us wince on occasion. When we switched out our stereo amplifier, things didn’t improve. Nor did they improve when we inserted a pair of foam bungs into the reflex port (Q Acoustics bundles a pair with the speakers). Even changing the position of the speakers didn’t help. It was frustrating, because we had high hopes for the sound here, and couldn’t quite make it work. It was especially frustrating because the rest of the sound was pretty good. The 3050i speakers offer excellent dynamics, and good detail in the highs and the mids. We particularly appreciated just how rounded and clean the highs were, without any harshness or distortion. Instruments like violins and female vocals really shone with these speakers. We found ourselves comparing them to the ELAC Debut 2.0 F6.2, which is a serious compliment. Those are identically priced to the 3050i speakers and we think they are among the best floorstanders we’ve ever heard. In the higher frequencies, the 3050i speakers more than hold their own, but that wasn’t enough to outshine the disappointing low-end. The Helmholtz just wasn’t Helmholtzing. In our final attempts to get some bass, we added a subwoofer to fill in the gaps. We used an SVS SB1000, which is our go-to testing sub, and found that it helped. If you do want to pick up a pair of these speakers, we recommend turning your system into a 2.1 – you’ll definitely appreciate it while listening to music. Despite their shortcomings with music, the 3050i speakers are perfect as a home theater system. Adding a subwoofer into the mix tightened up the sound considerably, but incorporating the 3050i speakers into a home theater setup took us the rest of the way. As star performers, these speakers never felt like they reached their full potential, but as part of a supporting cast, they were joyous. In home theater, the 3050i speakers could show off what they were really good at, which was dynamics and detail. Movies and series are known to be dynamic, and the 3050i speakers handled each moment brilliantly, filled with scintillating detail. In this context, they made total sense – the subwoofer handling the low end, and the center and surround speakers taking the weight off. This setup allowed the 3050i speakers to truly shine. It would be wrong to say that they are only suitable for home theater, but their flaws are exposed by musical content. Yet when asked to perform as a home theater setup, they absolutely blow it out of the water. We considered them to be a far better option for home theater than something like the Dali Oberon 5. Those speakers may be more expensive, at $1,099 per pair, but they don’t have the expression and liveliness of the 3050i speakers. To their credit, Q Acoustics seem to understand this. They offer the Q Acoustics 3000i Series 5.1 package, which contains a pair of 3050i speakers. That package costs $1,500, and we consider it to be one of the better home theater packages available. It shows off the 3050i speakers in their best light, allowing them to perform as part of a large cast, rather than hogging the spotlight. This means that, while there are better options for music, the 3050i speakers should be among your first options if you’re looking to beef up your home theater. Another element of the 3050i speakers that’s worth mentioning is the soundstage. The 3050i speakers absolutely nail it; the cabinet bracing may not have significantly improved the low-end, but its ability to reduce resonances does wonders for imaging. We found it very easy to pick out different elements of the sound in a coherent space. As expected, they performed much better in movie testing than they did in musical ones, but overall, the stereo image was terrific. It’s clear that this is something that Q Acoustics have always done well – we remember similar imaging from their old Concept 40 speakers, and it’s great to see it remain here. The sweet spot is wide and forgiving, which means you shouldn’t have to work too hard to position the speakers for a decent sound. The Q Acoustics 3050i have quite an unusual design, at least compared to many other floorstanding speakers. All three drivers are located on the top half of the cabinet, packed in close. It makes for an eye-catching look, and it really does help that the build quality of the speakers is excellent. They are heavy, at 40 lbs each, and the construction is clearly of high quality. We did find that they had a slight tendency to tilt when placed on an uneven surface, like the big shaggy carpet we have in our testing room. However, as you’ll see in the Accessories section, Q Acoustics planned for this. The speakers are available in a variety of colors, including Graphite Grey, English Walnut, Carbon Black, and Arctic White. Ours came in Carbon Black and the glossy finish looked great in our testing room. It also didn’t appear to pick up fingerprints easily, which is something we appreciated. The rounded corners and subtle design highlights, like the chrome bezels around each driver, really gave the speakers a premium identity. Overall, the design and build quality get two thumbs up from us. The sound isn’t perfect, but these speakers look great. 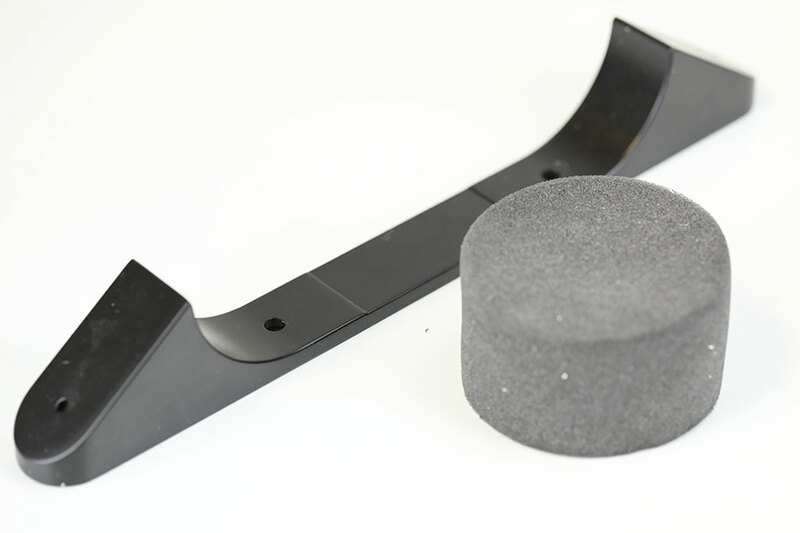 Something else that got a redesign is the speaker binding posts. 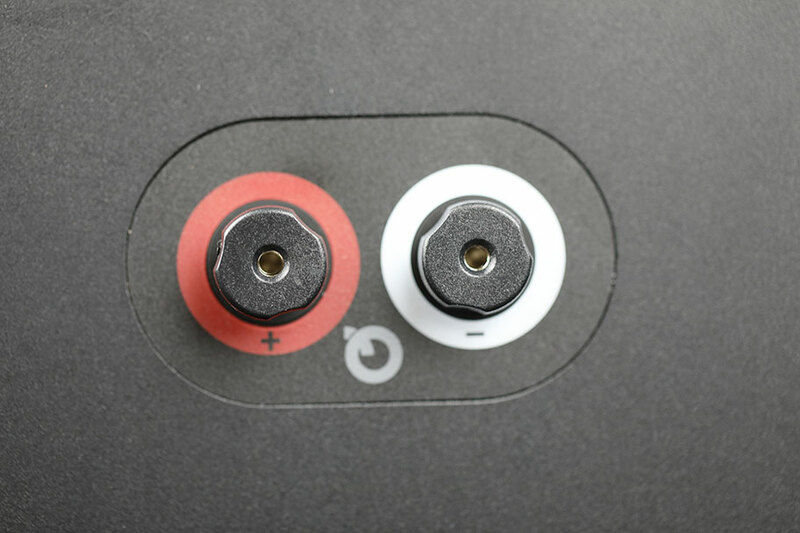 On the surface, they don’t seem all that different – just standard connectors that you can jam regular 4mm banana plugs into - but they’ve been remade with a stiffer, higher-quality panel. This not only helps reduce the resonances further but also has the effect of looking really cool. It’s a small detail, but one we truly appreciated. It was surprising just how many accessories the 3050i speakers came with. To handle the tilting problem, the speakers come with two stabilisers, which attach to the rear of each unit. 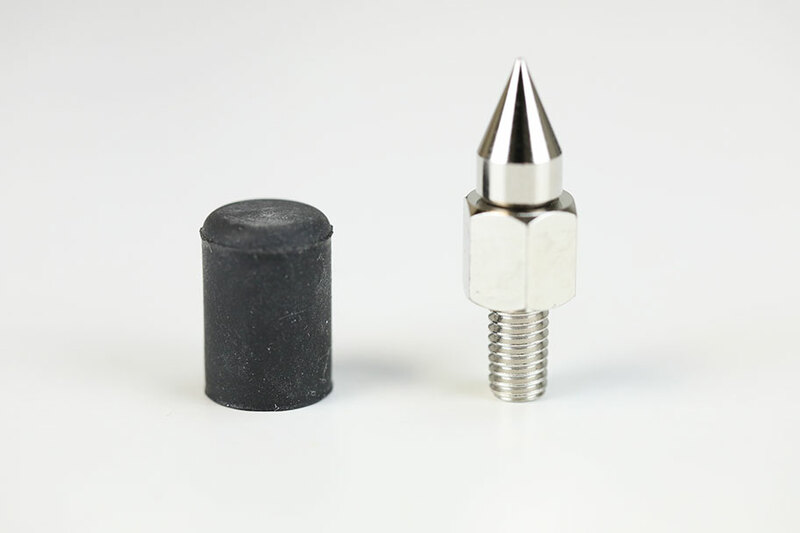 These, combined with the included speaker spikes, help keep the 3050i speakers nicely stable. You get the aforementioned foam bungs, annoyingly useless as they may be, as well as a pair of nifty handling gloves. Why? We aren’t entirely sure, but it helps add a little class. We’ll give Q Acoustics bonus points here. The Q Acoustics 3050i are exceptional home theater speakers, perfect in a surround setup. The 3050i speakers have terrific dynamics and detail. The construction and design of the 3050i speakers feels premium, despite the comparatively low price. The Q Acoustics 3050i have real issues with the low-end, which can be woolly and unfocused. There are better speakers available for the price. 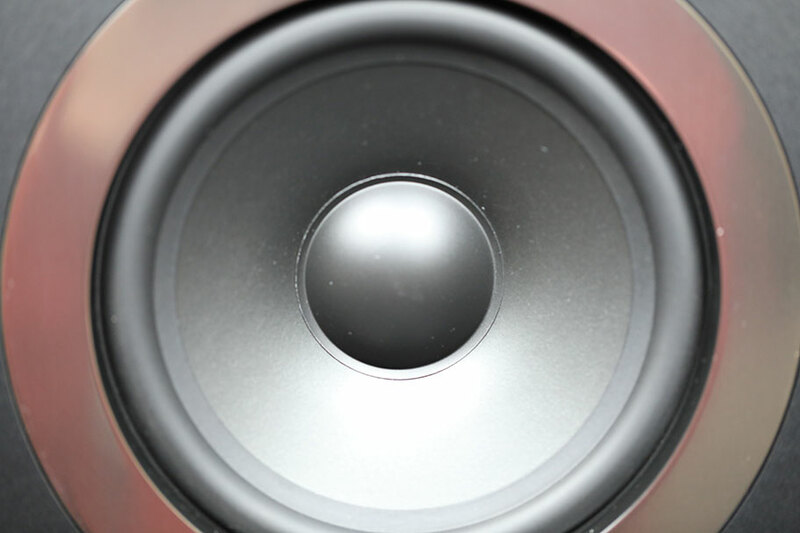 The 3050i speakers don’t perform nearly as well with music as they do for home theater. 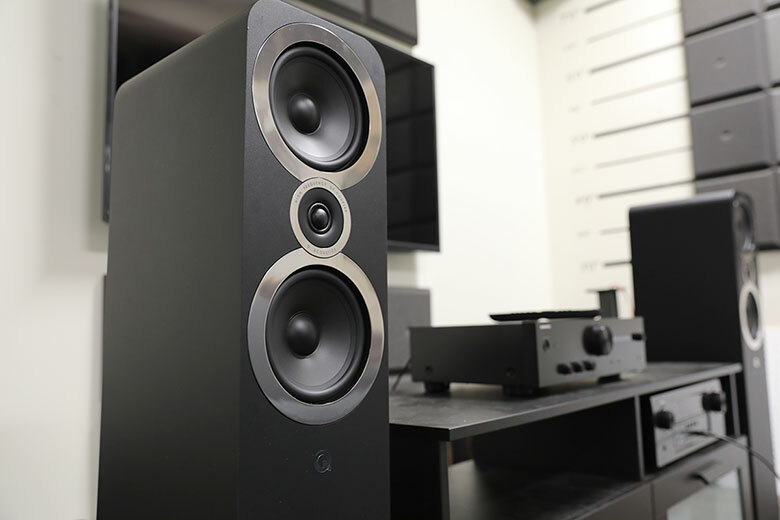 We may not have the time or brain space to list to every pair of floorstanding speakers available, but there are several models we’d directly compare to the Q Acoustics 3050i. The first pair to come to mind are the ELAC Debut 2.0 F6.2. These speakers, from the mind of famed designer Andrew Jones, are a complete package. While they don’t look nearly as good as the 3050i speakers, they have sound that is far more versatile and addictive. The price is identical - $799 for the pair – and we found that these performed just as well with music as they did with home theater. As good as the 3050i speakers are, the ELAC speakers are better. If you’re looking for a setup to really invest in, there are several high-end alternatives as well. The Dali Oberon 5 are a perfect example. At $1,099, they’re more expensive than the $799 Q Acoustics, and have some attractive qualities. They might not have the same ability to compete in the home theater world, as they don’t have the expression that the 3050i speakers do, but you could argue that they provide better sound overall. These speakers deliver superb bass, which we found lacking in the 3050i. And it must be said we prefer the design of the Oberon 5. The stabilising metal footplate both looks great and works exceptionally well. If you have even more money to burn, we recommend the older KEF R500. KEF, another British manufacturer, make excellent gear. The R500 speakers are some of their best – although at $2,600 for a pair, they’d better be. These knocked just about every speaker we’ve mentioned out of the park. Not just with their superb quality, but with their wide and forgiving sweet spot. Thanks to KEF’s Uni-Q tech, which fixes the tweeter inside one of the other drivers, you’ll find that you get great sound no matter where you sit. As good as the sweet spot of the 3050i speaker is, it can’t compete with the quality offered by the KEF RF500. If you have the money to spend, we truly suggest you go for them. Be warned: they aren't the newest speakers from KEF. Helmholtz Pressure Equalizer or any of the other technology you’ll find in the newer model, but these are a great budget option. If you’re trying to save some cash, and still want to experience what the company can do, the older 3050s are an excellent way to go. We’ve spotted several deals for this model on Amazon, so make sure you shop around.